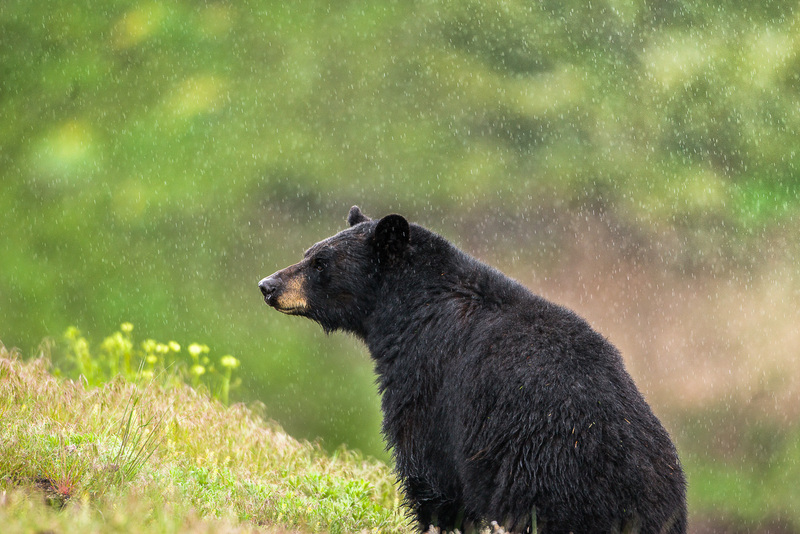 This black bear sits for a moment as the spring showers provide fresh waters to the new growth. A relaxing moment on a spring day. Photo © copyright by Lance B. Carter.